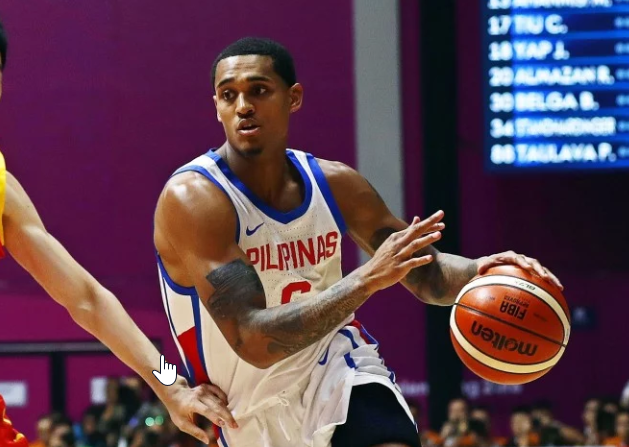 MANILA, Philippines – Jordan Clarkson had finally recorded his first win in the 2018 Asian Games with a win over Japan’s Akatsuki Five, 113-80 and secured at least a 6th place finish on Tuesday, August 28 in Jakarta, Indonesia. After suffering two consecutive losses in-a-row and failing to secure a podium finish, Pilipinas Men’s Basketball Team was all out to atone its misfortunes at Japan’s expense. But the national’s penultimate assignment was not a walk in the park as they faced a familiar regional rival, the Akatsuki Five of Japan. Team Japan played the entire tournament with only 8 players due to a sanction it obtained after some of its players got involved in a scandal prior to the event proper but in spite of the misfortune, the Japanese were still all out to beat the Philippines. Just like South Korea, Japan made a living from the three point territory to end the opener in a tied ball game at 27-all. Coach Yeng Guiao still can’t decipher Team Japan in the second. Akatsuki Five even led Philippines from the start of the 2nd period until the last 3 minutes. It was the combination of Jordan Clarkson and Christian Standhardinger that brought Philippines back at the helm and ended the hald in a 57-47 note. Coach Guiao had finally decoded Team Japan’s style of game play as they began the 2nd half. It was Stanley Pringle who broke the Japanese interior defense with the agile point guard’s slash and drive moves. With less than 5 minutes in the third quarter, Team Pilipinas’ lead had ballooned to 21. Japan sank a long trey as the 3rd period expired but Philippines still held onto a huge margin, 82-74 entering the final canto of this battle for fifth place game. Refusing to give up, Japan made a short rally and hoped to sustain its momentum until the last tick of the game clock. But Philippines came back strong and made 2 consecutive slam dunks courtesy of Jordan Clarkson and Raymond Almazan to bring the lead back to 20. Fatigue had been a factor in Japan’s decline in both offensive and defensive ends. 3 of its players had also consumed their personal fouls and left the team with only 5 men to finish the game. The Philippines maintained its dominance until the final horn sounded and officially secured a 6th place at least with a 113-80 victory over Japan. Philippines will play its final game of the tournament on Friday, August 31, 2018 and will face host Indonesia for the 5th place.